We had 3 nights and 2.5 days in the Swiss Alps. 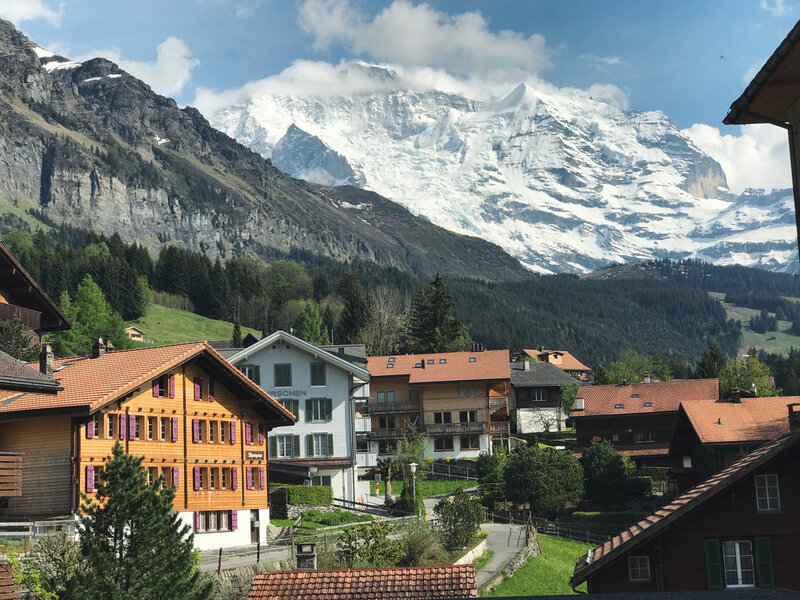 We stayed in Wengen each night and the town was a great base to use for exploring the Berner Oberland region. I would absolutely recommend this itinerary. It worked perfectly for us and we left feeling like we made the most of our time. 1:00 PM - Arrival in Wengen. We spent the afternoon leisurely walking around Wengen and attempted a short hike around the perimeter of the village. Most of the villages have a local tourist office that can provide very helpful advice and trail maps. 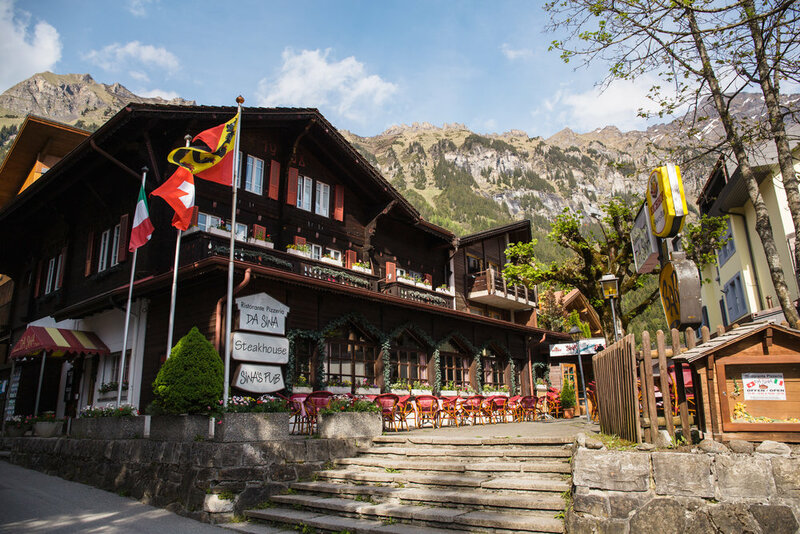 Several restaurants in Wengen were still closed in late May so we didn't have many dining options. We tried Da Sina Pizzeria on the first night. Once the sun sets, there really isn't much to do. We were content going back to the hotel for the night but if you're looking for more action, this probably isn't the place for you. Da Sina Pizzeria. The best part about the restaurant was the outdoor seating area. On the second day, we traveled from Wengen to Mannlichen to Grindelwald to First to Grindelwald to Lauterbrunnen to Wengen. All of the locations are circled on the map to give you an idea of the area. 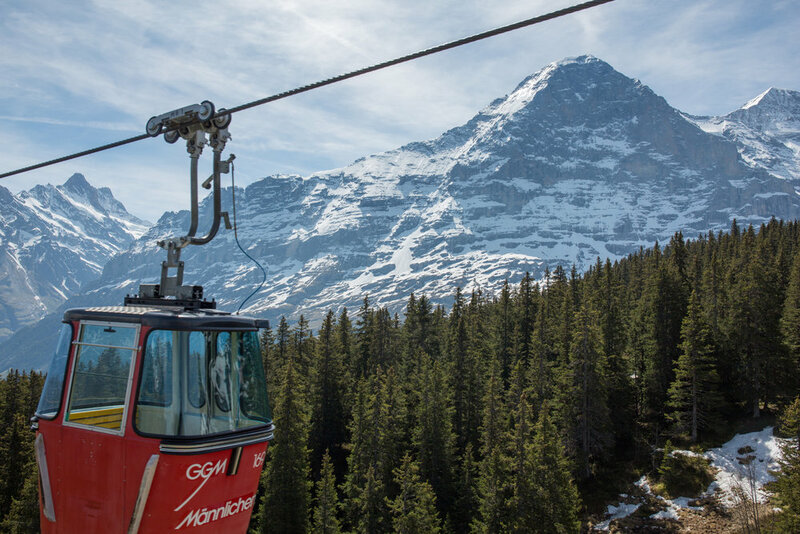 The first stop of the day was taking the cable car from Wengen to Mannlichen. Originally, I thought we would hike this but the trails were still closed for the season. In hindsight, it was far more enjoyable to take the cable car. It was a 10 minute ride to the top. Once we arrived at the top, we walked up to the peak (maybe another 15-20 minutes). Initially I was pretty nervous about all of the cable cars this trip would involve (I'm scared of heights and pretty much all forms of transportation). But, after a few rides, it seemed totally normal and my fears subsided. The view from the station looking up. Not that bad, right? 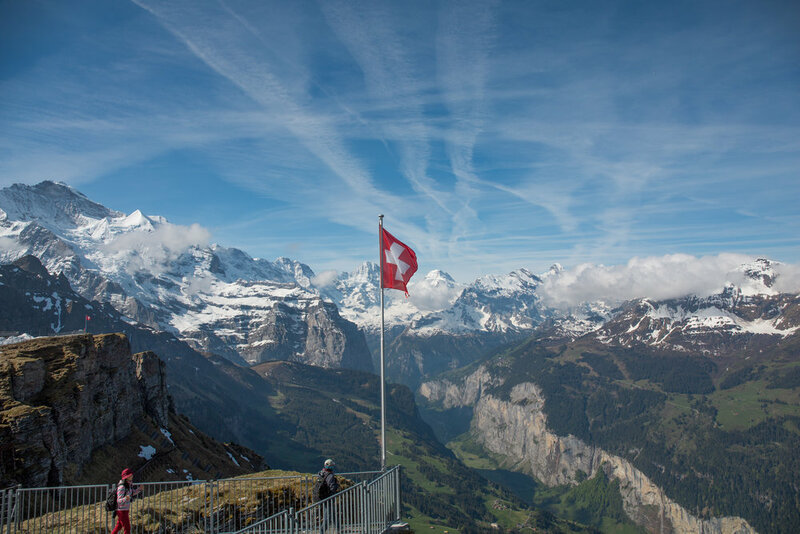 The view of Wengen while going up the mountain. We spent about 30 minutes at the top of Mannlichen taking in the views and watching paragliders jump off the mountain. It was so, so beautiful! Also, Mannlichen is not a town. It's just a peak with a cable car station. Next, we took a cable car from Mannlichen to Grindelwald. This was a much smaller cable car and it was just two of us in it. The ride was 10-15 minutes. We happened to be there the day cable car was opening for the season so be sure to check the dates before you schedule your trip!!! We got very lucky. 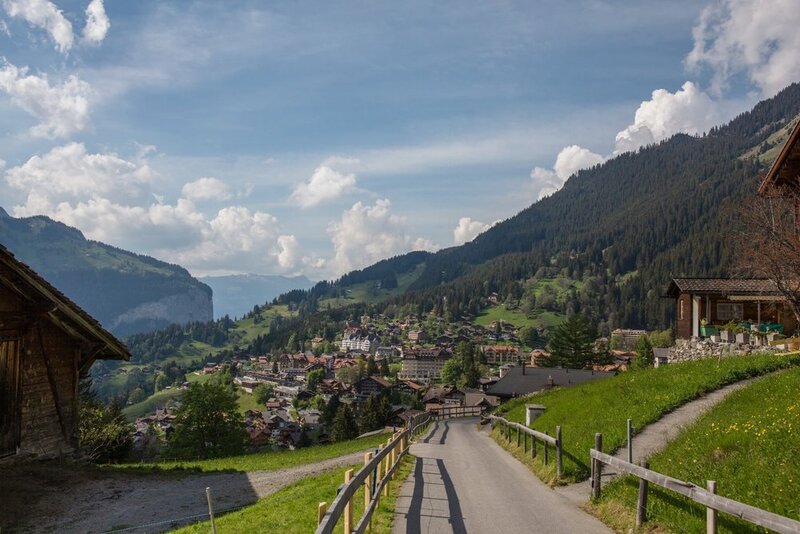 Once you arrive at the Grindelwald station, you can either take a short train ride or bus ride to the town. 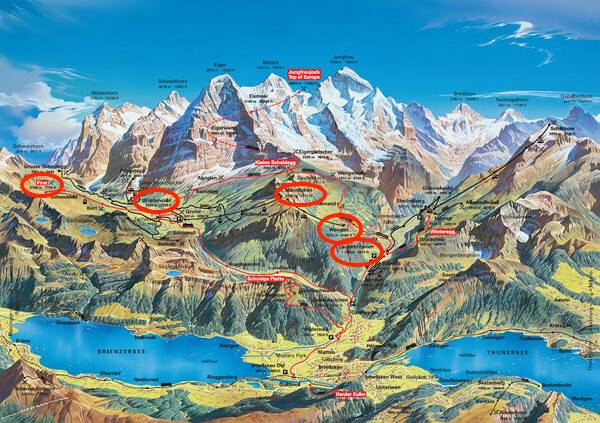 Grindelwald is much larger than Wengen and has more hotels, restaurants, and shops. From my perspective, it feels less authentic and more touristy. We walked through the town and made our way to the First cable car station. 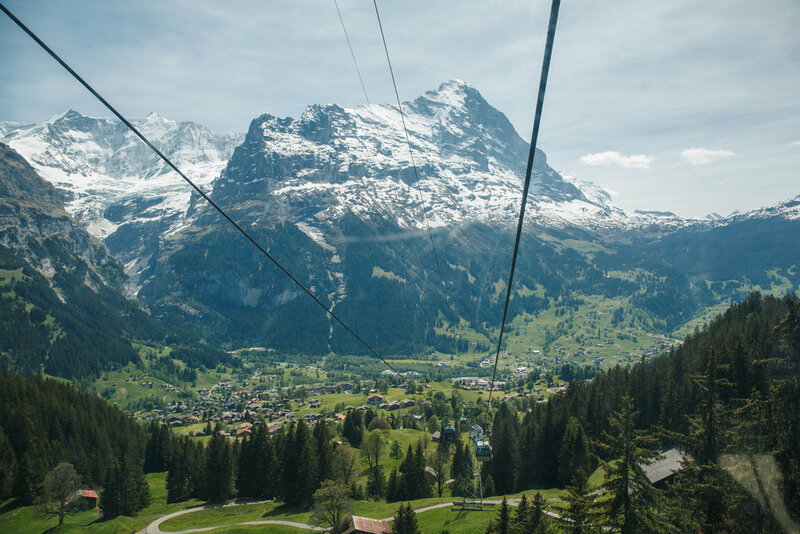 The cable car ride from Grindelwald to First takes about 25 minutes and was my favorite segment of the day. It's a longer ride so you can really enjoy it and take in the scenery. In First, there is a restaurant at the cable car station, several hiking trails, and the Cliff Walk. The Cliff Walk is literally built on a side of a cliff and if you have any fear of heights, this is not for you. 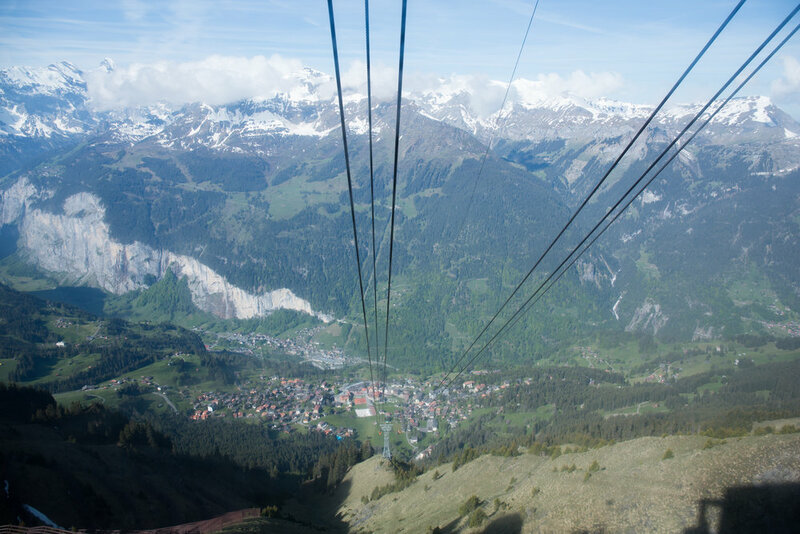 After about an hour in First, we took the cable car back to Grindelwald. On the way down, we stopped at one of the stations to take in the views. The playgrounds are everywhere! 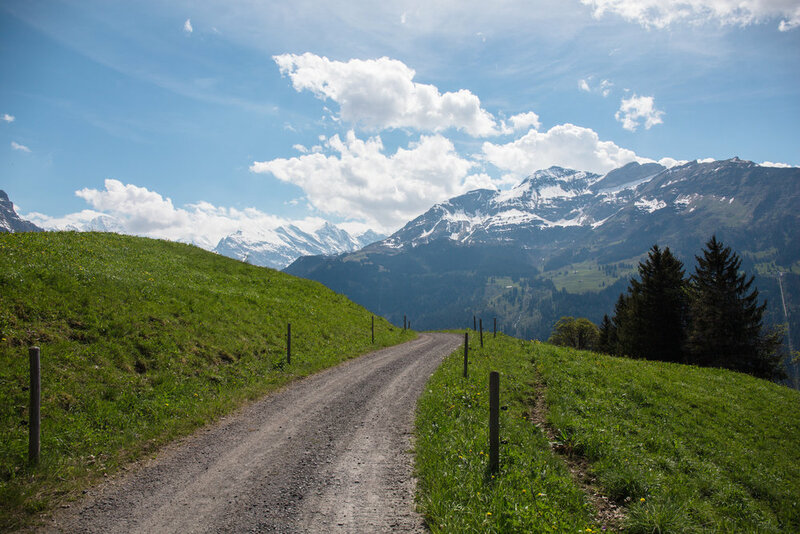 Once we got back to Grindelwald, we took a train to Lauterbrunnen and then to Wengen. The Swiss Travel Pass makes it easy to hop on and off trains/cable cars/buses without a set schedule. And yes, even the train rides are gorgeous. By the time we got back to Wengen, it was late afternoon. We had a glass of wine, ate dinner at the same pizza place as the previous night, and watched the sunset from our hotel room balcony. 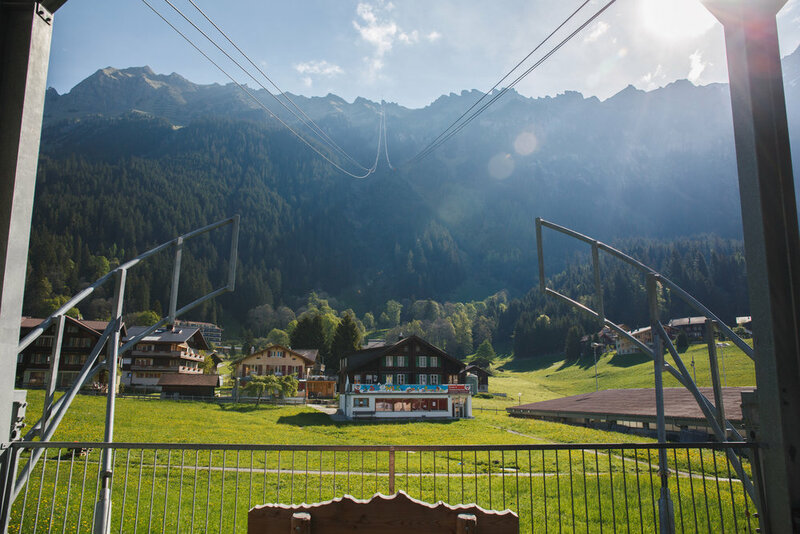 Coming up next is Day 3 in the Swiss Alps!